"Get ready to take a spin on Microsoft's first racer"
Immediately upon placing Project Gotham Racing into the XBox, one immediately asks the question "Is this as good as Gran Turismo 3?" And the answer surprisingly enough is that it's different in a refreshing kind of way. One of the first things we found impressive about this title was the welcome addition of real-time damage being done to the vehicles. With over 25 high performance cars to choose from, there's every chance that there'll be something that takes your fancy. Graphics are a real a treat with cars realistically modelled. Handling is exceptional and in some ways we think that it rivals GT3. Attention to detail is staggering, giving you the true impression of driving within the game world. Bizarre Creations have taken full advantage of the XBox's NVidia graphics chip to introduce bump mapping where ever possible. One of the interesting features in this title is the introduction of a point system being awarded to aggressive and clever drivers, these kudos points are awarded when carefully negotiating the course and not upsetting any hazards that are placed in your way. You can wager kudos points upon a race which you are participating in, the more you wager the more kudos you can earn. 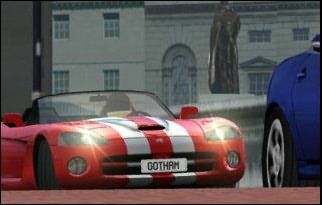 Project Gotham Racing also takes advantage of the XBox's hard drive in allowing you to play your own music whilst you're in the game world. Just rip a few tracks to the hard disk before starting the game, then groove to your own tunes. This is one innovation that neither the PS2 or GameCube can currently take advantage of. However with top name artists like the Chemical Brothers and LA Symphony, why would you want to listen to your own tracks. There are a couple of race modes to take advantage of such as quick race mode, arcade, time attack mode, kudos challenge mode and multi-player mode. The game supports up to four players with no visible evidence of any frame rate hit. 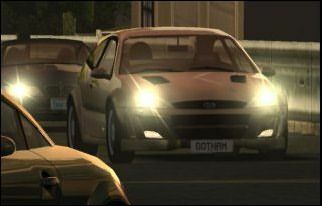 The only way to progress in Project Gotham Racing is to earn a Bronze Medal which will then unlock the next city for you to drive in. Environments are huge with plenty of detail to take in, if you got time to look around! Whilst in each city, you can listen to their local radio, with three stations to listen to in each city. Musical selections are different in each station, so there's sure to be something up your alley. 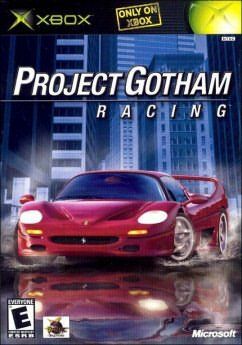 Also available on the Project Gotham Racing is the option to view other XBox titles currently available. We are sure that in time, there may be titles to surpass this, however as far as street racing goes, Project Gotham Racing currently wins hands down on the XBox. Recommended purchase!